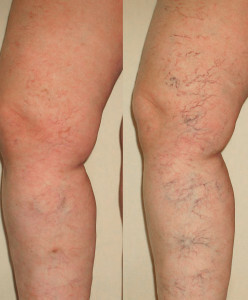 Varicose comes from the greek word “grapelike.” Varicose Veins are twisty bulging veins on the legs caused by an increase in the normal venous pressure. They tend to get larger and uglier with time and are normally uncomfortable typically causing tired legs, itching, throbbing, restlessness and aching. They can bleed especially in the elderly after relatively minor trauma. The increased pressure often causes skin damage and in many patients actual ulceration of the skin occurs which takes months to heal without appropriate treatment. 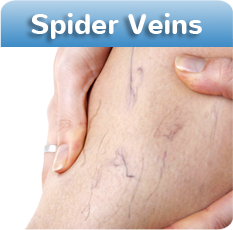 Varicose vein treatments Orange County are often covered by your insurance. 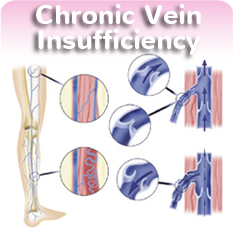 In the past, Insurance companies typically covered the traditional treatment for vein disease – surgery. 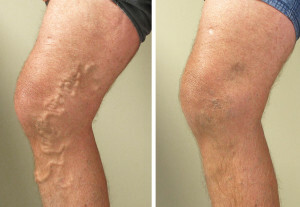 However, now most insurance companies are covering for Endovenous Laser Treatment (EVLT) as the primary type of treatment, and even sclerotherapy as an alternative treatment. What Can Happen If Varicose Veins Are Not Treated? 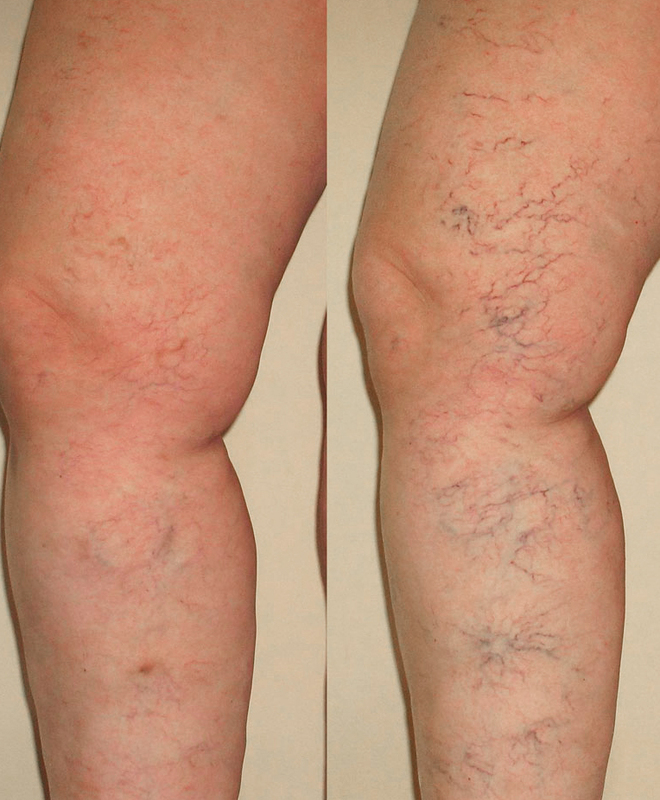 When varicose veins go untreated, you risk the potential of damaging your venous system and also the you potentially risk getting blood clots. 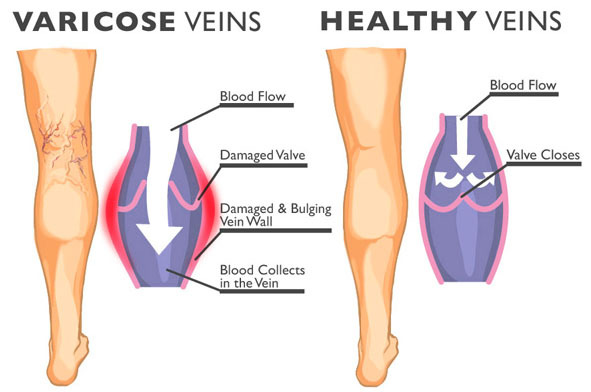 Symptoms that occur when Varicose Veins are not properly treated include developing bulging veins that do not allow for blood to properly circulate through the body. This can result in blood becoming stagnant, which will lead to the development of leg ulcers & superficial clots. 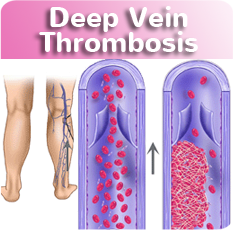 A small percentage of blood clots can migrate throughout the vein and into the venous system which can lead to a Pulmonary Embolism and potentially death. 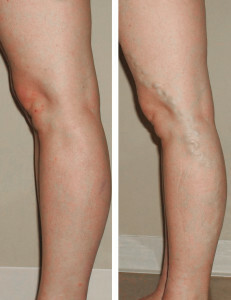 Which Type of Varicose Treatment is Right for Me? During your consultation with Dr. Goldstein, he will assess the condition and severity of any varicose veins to determine if there is any health risk associated with your veins. From there, Dr. Goldstein will offer a treatment option to make sure that you are given the best possible care for your specific condition.